In a recent paper on Article 102 cases, Dr Malte Abel and Mr Peter Willis review pricing abuse cases in the European energy sector between January 2010 and September 2012. The authors conclude that an interesting feature of the national competition authorities (NCAs) investigations has been the focus on narrow geographic and product markets. The authors also conclude that a number of cases highlight ongoing concerns about restrictions of competition resulting from the control of network infrastructure. In June 2005, the European Commission launched an investigation into the energy sector. The EC reported its findings in January 2007 and found serious competition problems in the energy sector including: high levels of concentration; collusion between incumbents, vertical integration, lack of access to infrastructure; lack of, or delayed, investment; concerns about balancing regimes; and lack of transparency in price formation. The investigation prompted the adoption of the third energy market package in 2009, intended to address some of the structural shortcomings of European energy markets. The report titled “National Article 102 Cases in the Energy Sector”, by Dr Malte Abel, RWE AG and Peter Willis, Bird & Bird LLP, provide several examples of cases where the serious competition problems was present. The authors analyze key decisions of the NCAs in the area of Article 102, in electricity, gas and district heating markets in Europe. Hereafter follow a description of a recent case in the Swedish market for electricity that Abel and Willis include in their report. 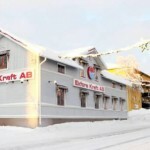 The Swedish Competition Authority (SCA) finds that Ekfors Kraft abused its dominant position by failing to provide connection (denial of access). On 25 August 2010, the SCA issued a decision that Ekfors Kraft AB had abused its dominant position by refusing to connect a street lighting to its network system recently constructed by the municipality of Haparanda. The case arose from a long-running dispute between the municipality Haparanda and Ekfors. Ekfors was the holder of a concession to operate the local electricity network, and had also provided street lighting services for many years. Following a dispute about the cost, Ekfors switched off the lighting in 2006. Haparanda complained to the SCA. The Market Court held on appeal that there was no abuse because the city could provide the services itself. Haparanda therefore constructed its own street lighting network, but was unable to obtain approval to connect it to its own electricity system. It was therefore dependent on a connection to the Ekfors network. Ekfors failed to provide a connection. Haparanda complained again to the SCA. The authority found that Ekfors was dominant in the market for the provision of electric power lines for the transmission of electricity within Ekfors’ concession area in the municipalities of Haparanda and Övertorneå. Ekfors had a statutory exclusive right to transport electricity in that area, and was therefore dominant. Although the dispute had a complex history, the SCA noted that Ekfors was active in the downstream market for providing street lighting, and that by refusing to provide a connection, Ekfors was excluding competition in the downstream market. There was no objective justification for refusing to provide a connection – Haparanda had paid network fees. Abel and Willis conclude in their report that an interesting feature of the national investigations has been the focus on narrower geographic and product markets. The authors also conclude that a number of cases highlight ongoing concerns about restrictions of competition resulting from the control of network infrastructure. The third EU energy package sought to eliminate the opportunity and incentive to distort competition in this way, by requiring the unbundling of grids from supply and generation activities. National competition authorities have conducted a number of investigations in this area, including investigations into Ekfors Kraft. The authors write that it is likely that the authorities will pursue competition investigations in parallel with the bedding-in of the new rules over the next few years. Companies should keep two things in mind in this context. Complying with energy regulation does not usually act as a defense against allegations of abuse of dominance (no “regulated conduct defense”). Moreover, when defining the relevant market, competition authorities will rarely take into account a new regulatory framework which is just being implemented, in addition to the usual market forces. This entry was posted in Anti-trust, European Energy Markets. Bookmark the permalink.